MDVL farms are known for their modern practices and good animal care. By having all the cows in large farms, it is possible to monitor all medicines that are given to animals, and their ongoing health. MDVL farms also have quarantine units for any new animals that join the herd, where they are vaccinated and ensured a "full clean health record." MDVL has a rigorous series of health checks for all cows before they become part of TruMilk. Not only that, we promise that at MDVL farms nothing is ever added to TruMilk. TruMilk cows are never given hormone shots to make them produce more milk. This is not something everyone can say about their milk. We do not add anything to hide smells, old milk, poor texture or anything to make it last longer. TruMilk is fresh. And if that means a shorter shelf life, we are sure you will agree it is a price worth paying for purity. TB and Brucellosis are serious diseases which can affect cattle, which can also affect humans. Not only do MDVL farms ensure all cows are regularly checked for these and other diseases, but so are our staff. We have got TruMilk certified as TB free. 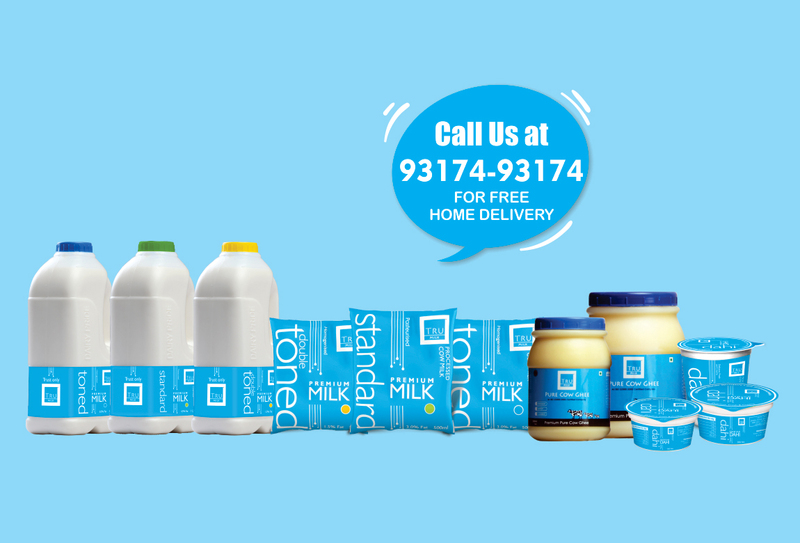 We want TruMilk to be your guarantee of safety. We have a 24 hour team of highly qualified veterinary staff and even dieticians for the cows to ensure they get exactly the right balance of nutrients for their requirements. We make our own concentrates and feeds for them in our own feed mill and test all the ingredients in our labs. These teams also ensure that if a cow is sick, and needs medicine, she doesn’t take part in milking for TruMilk until the prescribed time is past for the medicines to be out of her system. We are confident that no other fresh milk producer goes to the lengths MDVL farms do to bring clean, fresh, safe milk to you. We drink TruMilk, now it's time for you to make the change!